To efficiently process and extract highly precise information from satellite imagery, the new SATMaster software solution provides professionals with a streamlined and complete workflow. SATMaster enables precise geo-referencing through full automatic triangulation of multiple overlapping satellite image-to-ground control points increasing data accuracy and enabling data fusion-to-reference data sets. With the modeling capabilities, surface and terrain models can be generated with a density of up to 1 pixel from stereo coverage. Full color-balanced and corrected to provide homogeneous image scenes. Built on core eCognition software technology, Trimble® eCognition® Essentials offers users a complete out-of-the-box mapping solution. With a focus on quickly obtaining quality results and actionable data, eCognition Essentials allows users to easily analyze and transfer image data into intelligent geospatial information - for example, creating land cover or change detection maps to be exported into a GIS database. Trimble® eCognition® Suite is an advanced analysis software available for geospatial applications. 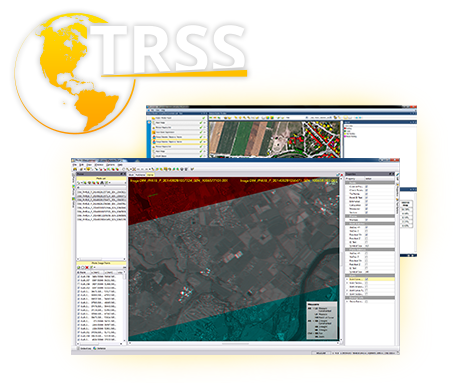 It is designed to improve, accelerate and automate the interpretation of variety of geospatial data and enables users to design feature extraction and change detections solutions to transform geospatial data into geo-information. Analysis logic is structured into a series of steps to create a computer-based representation of an expert’s geospatial interpretation process. eCognition then combines the analysis logic with scalable computing power to identify changes over time or features on the earth’s surface.